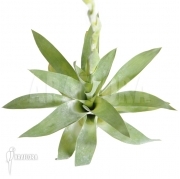 activities: Araflora sells a wide assortment of plants via the web shop and plant shows direct to consumers and retailers. The general terms and conditions apply to all agreements, deliveries and quotes entered into with Araflora. During the ordering process via the web shop you will be informed of these terms and conditions, you are only bound by these terms and conditions from the moment you accept these during the ordering process. The applicable version of the terms and conditions is always the version which was valid at the time the agreement was made, unless you have accepted revised terms and conditions after the agreement was made. There is no obligation to accept quotations and they will remain valid until the stated expiry date, and as long as the relevant types and sizes can be delivered from stock. Offers and quotes will remain valid as described on the Araflora website, and while stocks last. All prices on this website are in euros and include VAT. Postage and packaging are not included. Araflora reserves the right to change prices. No rights are upheld in the case of incorrect pricing caused for example by incorrect data entry or printing mistakes. By sending in the order form from the website the buyer agrees to have read and accepted the underlying terms and conditions. A sales contract is entered into the moment Araflora has send an order confirmation email to the buyer via the email address on the order form. This agreement can be cancelled by Araflora in case of non-conformance to the stated terms and conditions by the buyer. After an order has been placed and the order confirmation received cancelling by the buyer is only possible in writing or by email as long as the order has not yet been shipped. After receipt of the order you do have the right to return your order for whatever reason within 14 working days and cancel the agreement, without any penalties, as long as the delivered articles are returned undamaged. The sale is therefore permanent after these 14 working days. Postal costs for the return shipment are for the buyer. This so called view period of 14 days will start the day after the goods or services have been delivered. Plants are living organisms. The botanical names of plants do change due to changing scientific views. It is therefore occasionally possible that a plant after further growth (f.i. flowering) turns out not to be a pure breed. Shoud this happen we will negotiate a suitable solution. Transit times stated by Araflora are always an approximation and are never fixed terms. We aim to deliver the product within 5 to 10 working days after receipt of the full amount due on our bank account. Plant materials are a living natural product, so (weather) conditions such as (expected) frost may lead to a delay in shipment, to ensure the quality. Especially in the winter period this can lead to delay of shipment. If these conditions cause a delay of more than 10 working days after payment you will be notified in writing (email), in that case you are entitled to cancel your order without cost. Delivery of Araflora products to the buyer will be by post. Araflora has therefore no influence on the delivery schedule of the mentioned shipments, and is therefore not responsible for any missing or delayed packages. Because Araflora wants to serve her customers in the best possible manner a suitable solution will be sought. If the product ordered has sold out or is for any other reason not immediately available and delivery within 10 working days, for whatever reason, is not possible, the buyer will be notified as soon as possible. Araflora cannot be held liable for any damages as a result of exceeding the transit time. Payment has to be made at the time of ordering by the buyer on Araflora’s website. Payment will take place during the ordering process using the payment method described by Araflora, in the currency of invoicing, unless otherwise stated. Without direct payment connected to the order, Araflora is not required to deliver any product to the purchaser. After payment has been received on the Araflora bank- or giro-account, Araflora will send the products ordered. Araflora will do her utmost to deliver the ordered products in the best possible condition and high standards are applied. Plant material however is a living natural product. Araflora’s selection process is based on uniformity. It is possible that there may be a small variation in colour, height etc from the products presented on the website. The buyer is advised to carefully inspect products on receipt and to register in writing any noted defects with service@araflora.com, preferably accompanied by a digital Photo that clearly shows any defects. Alleged defects will be investigated by Araflora within 7 working days and the buyer will be notified in writing. If the claim is accepted, the amount of the refund can never exceed the invoice amount and/or products will be exchanged under the applicable terms and conditions. The costs and risk of returning the defected products are Araflora’s. The buyer can only claim a replacement if the defect has been noted within 48 hours of receipt by buyer, and he notifies Araflora within this period. Risk of damages of the products transfers to the buyer at the moment of actual delivery. a. In between the acceptance of the agreement (placing of the order and payment of the sales price) and completion of the order Araflora and buyer (can) communicate by email. b. Araflora and buyer acknowledge that there are risks attached to the use of email. Araflora and buyer herewith reciprocally agree not to be liable for damages caused by the use of email to either party. d. In case of doubt relating to the accuracy of the received mail by either Araflora or buyer, the content of the email send by Araflora is decisive. a. In case of defect in one of the products delivered by Araflora, liability will be limited. Araflora can only be held liable for immediate damage, the maximum limited to the amount equal to the purchase price of the relevant article. b.Araflora cannot be held liable for damages due to inappropriate use. Araflora cannot be held liable for the failure of postal companies to deliver and/or deliver on time. c. No product in the Araflora range is suitable for human consumption, unless specifically stated otherwise. Araflora can in no case be held liable for damages due to the consumption of Araflora products. d. Araflora cannot be held liable for damages to your computer equipment as a result of using the Araflora website and/or downloads from this site. In case you are not satisfied with a product or a service, please contact us as soon as possible, preferably by email service@araflora.com We will respond to your complaint within 15 days. Art. 13 Privacy: Personal details of our customers and visitors are treated with the utmost care. For further information, see our privacy regulations. a. An agreement between Araflora and a purchaser can be cancelled without notice in the following circumstances: - After agreement has been reached Araflora receives information that will give them good grounds to think buyer will not be able to fulfil his obligations; - In case of non- payment or insufficient payment by buyer. Under these circumstances Araflora is within its rights to cancel the order/agreement, without losing the right to further claim for damages. b. Furthermore Araflora can cancel the agreement under circumstances of such nature that fulfilling the agreement becomes impossible or according to reasonable and fair judgement can no longer be requested, or any other circumstances of such nature when in all fairness it cannot be expected to fulfil the agreement without changes. c. Finally Araflora can cancel the agreement in the case that the customer places an order while one or more invoices are still outstanding, until the customer has fulfilled his obligations. Applicable law: These terms and conditions are exclusively protected by Netherlands Law.